When a particular brand becomes hugely successful, it more often than not becomes very valuable, but even the biggest of players are not protected from the ill effects of popularity. A big problem that many brands face is the generification of their brand, i.e. it becomes so well-known and associated with a particular type of good or service that consumers use it to refer to all of those goods or services. Through this the distinctiveness of the trademark becomes diluted, and potentially is lost entirely. Many companies will therefore fight to protect their brands and to establish proper trademark use guidelines (for example, INTA has a set of guidelines for online use) to combat this issue. A case that has dealt with the 'generification' or 'genericisation' of trademarks has been going on in the US for over 5 years (discussion on the first instance decision here), culminating in a Court of Appeal decision in mid-March. The case of Elliott v Google Inc. deals with the registration of over 760 domain names by David Elliot, which incorporated both the word "Google" and other well-known brands, such as Disney, in the domain name. Google subsequently objected to the registrations, lodging a complaint at the National Arbitration Forum (handling the domain name disputes for the provider). NAF ruled in Google's favor, and the complaint then lodged proceedings in the Arizona District Court for the cancellation of the Google trademarks under 15 USC section 1064(3) as being "...primarily understood as a generic term universally used to describe the act of internet searching". Elliott's case failed at first instance for lack of evidence as to this fact, and the matter since was appealed to the Court of Appeals. The main question for the Court therefore was whether 'Google' had become generic through use; however, as noted by the Court: "…The mere fact that the public sometimes uses a trademark as the name for a unique product does not immediately render the mark generic". Consumers would have to consistently, and for a prolonged period of time, use the marl for it to become arguably generic. Judge Tallman set out the legal test for this, which looks at "…whether the primary significance of the term in the minds of the consuming public is [now] the product [and not] the producer". Judge Tallman continued that the claim for the genericness of a product or service always has to relate to a particular type of goods or services the mark is registered for. Elliott had defined this as 'the act of searching the internet'; however, the marks are not registered for these types of services. The Court rejected his argument, due to a lack of particular good or services designated for which the mark has become generic for. 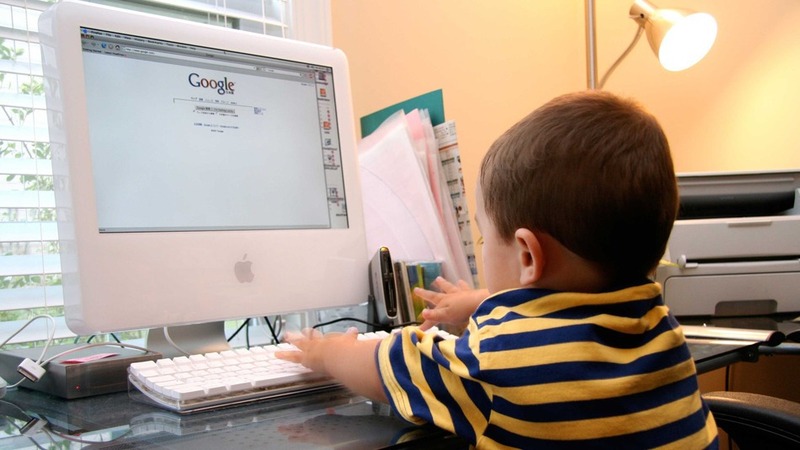 Elliott's main argument in the proceedings related to the potential use of 'Google' as a verb to describe the act of searching the internet (using Google or not) by the relevant public, having therefore become generic. The Court rejected Elliott's argument, since he failed on two fronts: he failed to recognize that a claim of genericide must always relate to a particular type of good or service, and that he erroneously assumed that verb use automatically constitutes generic use. Firstly, the Court highlighted Elliott's lack of specificity in setting out the particular type of goods or service the verb relates to. While he did set out that 'Google' related to the act of searching the internet in general, there was no inherent link between the claim of genericide and a particular type of good or service. In other words, Elliott's claim only relates to a broad, undefined action, rather than a particular good or service the mark is registered for. Secondly, the use of a trademark as a verb, according to the Court, does not automatically mean it has become generic. Elliott's argument was that a trademark should only be used as an adjective, and should it be used as a verb it would lose its source-identifying function and become generic. What the Court highlighted as the key consideration, as set out in Coca-Cola Company v Overland Inc., is "what… customers [were] thinking or whether they had a particular source in mind [for the goods or services in question]". What remains key is the consideration is the customers' inner thought processes regarding the goods or services, irrespective of the trademarks use as, for example, a verb or a noun. This has been referred to as 'discriminate' and 'indiscriminate' use, where the consumer uses the mark as a verb or otherwise either with consideration of the underlying source or not, i.e. being happy with an alternate product or service being used instead of the namesake. The Court assessed that the main inquiry would be "…whether the primary significance of the word "google" to the relevant public is as a generic name for internet search engines or as a mark identifying the Google search engine in particular", not simply has the mark has been used as a verb or not. The Court then moved on to evidentiary matters. In determining whether the mark in question would have become generic, the claimant is "…required to identify sufficient evidence to support a jury finding that the primary significance of the word "google" to the relevant public is as a name for internet search engines generally and not as a mark identifying the Google search engine in particular". Elliott's evidence largely comprised of consumer surveys and generic use by media and consumers at large. Elliott also produced three expert witnesses, who argued that 'google' is used in a generic sense when it's used as a verb. In most of the evidence the word 'google' had simply been used as a verb, which, as the Court pointed out above, does not in itself make a word generic. The Court concluded that Elliott had failed to produce sufficient evidence that the relevant public primarily understands the word "google" as a generic name for internet search engines and not as a mark identifying the Google search engine in particular. The case shows that some battles might not be worth fighting. The evidentiary hurdle that a claim has to climb over in a claim for genericness is quite high, and as this case shows, even the biggest of players might not be as exposed as you think. Trademarks offer a versatile and flexible set of rights, which cannot be thwarted by a simple claim of verb use; however, rightsholders still need to remain vigilant over any claims of genericness from third-parties, especially if the name is of some note.